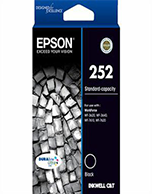 For instance, the Epson 273XL Magenta C13T275392 Ink Cartridge print yield is approximately 650 pages @ 5% coverage. In addition keep printing costs $ low. As well as maintaining productivity with genuine Epson Inks.